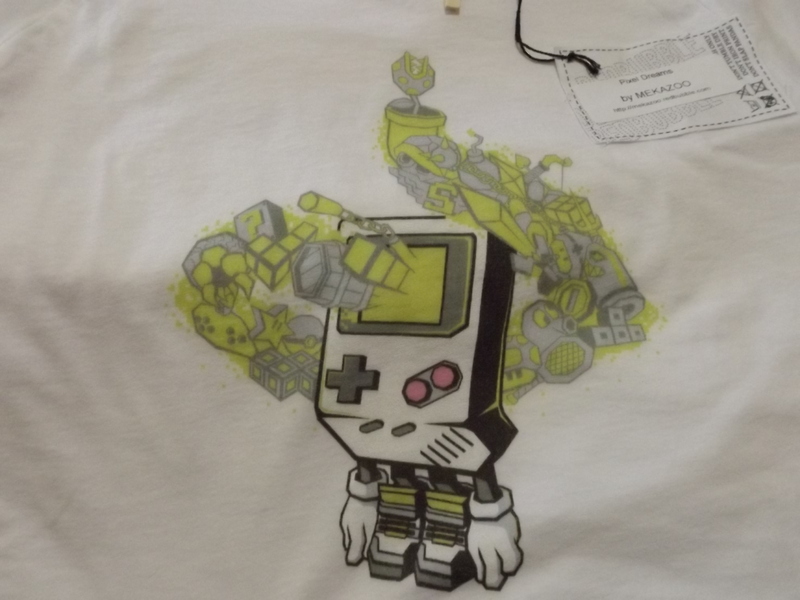 GameBoy Shirt By Mekazoo Review | The Arcade Archives! This shirt is fantastic! It’s a must have for any old school gamer! As you may notice the photograph is not me; that is my fabulous model Riley who is wearing the women’s style of this shirt. I on the other hand tested out the men’s shirt. Both shirts were very soft! I don’t know about the rest of you but I love nothing more than a really soft, comfortable tee shirt. I also love the graphics on this shirt. Although the design is printed on a white which I normally try to avoid since I’m a stain magnet. 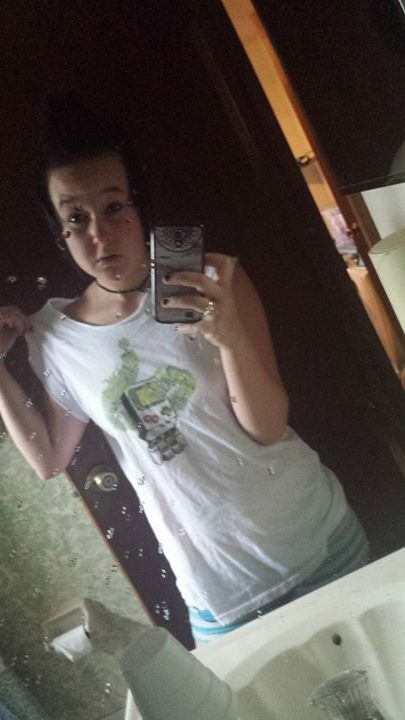 However I love this shirt it’s so soft and comfortable. It’s also not one of those heavy shirts that makes you over hot. It’s really light weight cotton. This shirt is a available through RedBubble. If I haven’t mentioned before their products are outstanding. 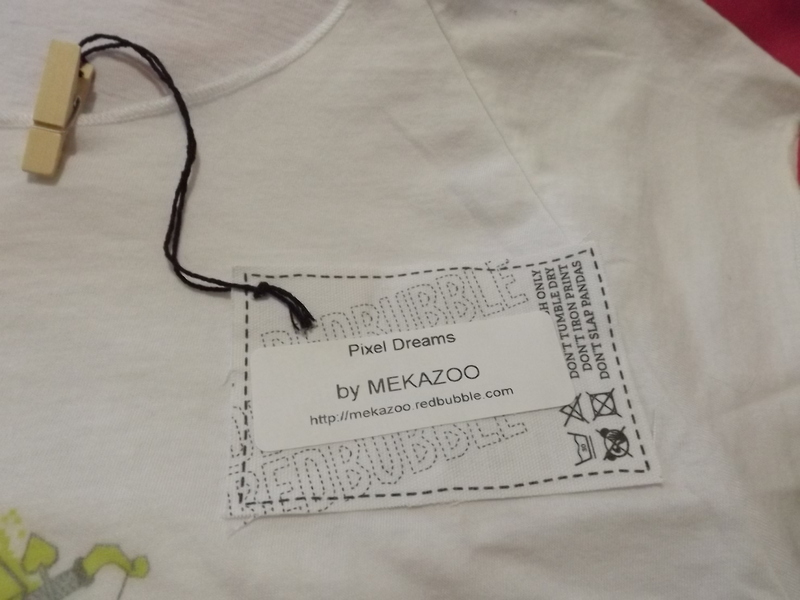 I am also a huge fan of the information tag that comes hooked to the shirt by a tiny clothes pin. 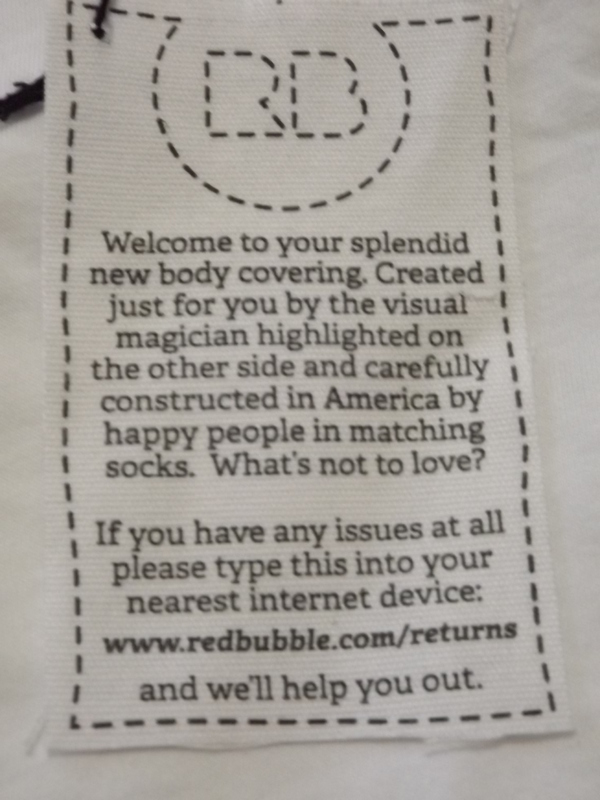 It not only tells you how to take care of your wonderful new body covering but it also tells you that it’s constructed in America by folks in matching socks. 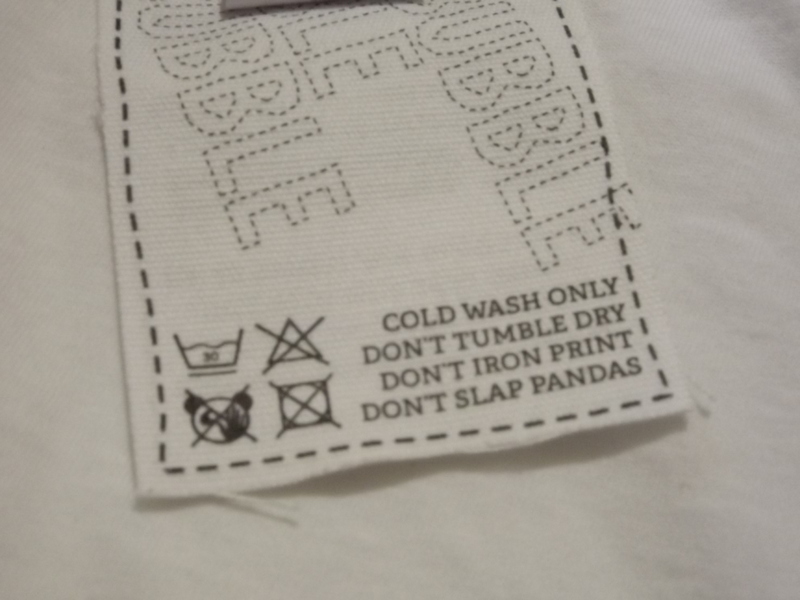 Oh and it offers words of wisdom as well such as don’t slap pandas! This entry was posted in Archive Entries and tagged gameboy, mario, nintendo, RedBubble, shirt, tee shirt by ravenheather. Bookmark the permalink.